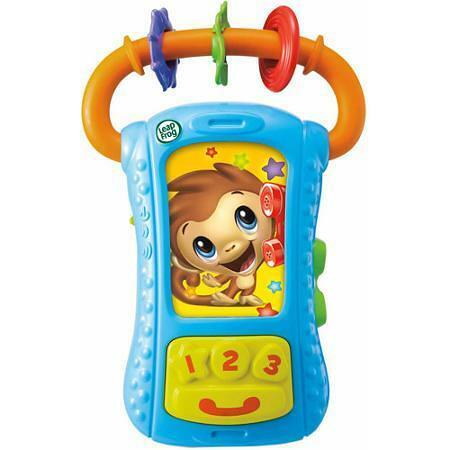 ROLLBACK - LeapFrog Lil' Phone Pal Phone ONLY $5.99 + FREE Shipping With Store Pickup (WAS $10)! You are here: Home / Great Deals / ROLLBACK – LeapFrog Lil’ Phone Pal Phone ONLY $5.99 + FREE Shipping With Store Pickup (WAS $10)! ROLLBACK – LeapFrog Lil’ Phone Pal Phone ONLY $5.99 + FREE Shipping With Store Pickup (WAS $10)! Here’s a cute deal for your little one! You can snag this LeapFrog Lil’ Phone Pal Phone on rollback for ONLY $5.99 + FREE Shipping (WAS $10) when you select store pickup!